The iPhone is no longer just for checking your mail and keeping tabs on all the drama that unfolds on Facebook. 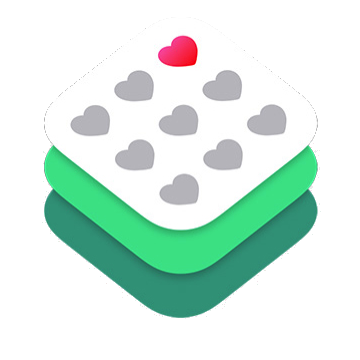 Apple has recently released an exciting and much under hyped framework – ResearchKit. ResearchKit is an open source framework that has been published on github [ https://github.com/researchkit/researchkit ] that aims to ease the burden on Doctors, scientists, and medical researchers, of gathering data for research studies. One of the aims of ResearchKit is to empower the public to assist in medical research. It is often difficult to acquire participants for research purposes. With millions of iPhone users throughout the world, the aim is to get increased uptake in research studies by people using their phones. To researchers, data is invaluable. ResearchKit hopes to increase the accuracy, amount, and frequency of data being collected. The data can then immediately be shared with researchers, safely and securely. ResearchKit pairs researchers with developers to create apps designed to study health and wellness and gain a better understanding of diseases. At its core, the framework is designed around some of the most common aspects found in researching diseases, consent by participants, surveys and activity tasks. Each module has been designed for flexibility and customization in mind, to best fit the needs of the study. Participant consent is critical when conducting medical studies of any kind. ResearchKit provides built in templates to help guide participants through the consent process. These customizable templates include displaying details of the study through text and visuals such as video, as well as custom interactive quizzes to ensure the participants understanding of the study. This module also includes facilities to obtain participant signatures. At the heart of many studies are surveys. ResearchKit has tackled this by providing many reusable user interface components to create customized surveys. Activity tasks go beyond the reach of surveys by engaging participants to perform exercises in order to gather the necessary data. Activity tasks take advantage of the iPhone’s built in sensors; accelerometer, gyroscope, microphone, and GPS to gather the data that powers the research. Tasks included in the initial release measure motor activities, fitness, cognition and voice. ResearchKit is complemented by HealthKit allowing participants to optionally submit data collected by other applications. This is just the beginning. In making this project open source, Apple is inviting developers to contribute by creating new modules and submitting them to ResearchKit. The first round of apps taking advantage of ReasearchKit have been released to the app store in the United States. These include apps targeting research in asthma, breast cancer, cardiovascular disease, diabetes and Parkinson’s disease. The uptake has been quite impressive. In just a few weeks over 60,000 people have used their phones to enroll in these studies. The prospect of what could come out of these studies and what new projects might be added is intriguing. ReasearchKit broadens the capabilities of smartphones to contribute to the progress of medicine and health in our communities. Whether ResearchKit remains in the scope of health care or branches to other areas of research, I am excited to see what new features developers contribute to this framework and its many possibly advantages to the field of research, health and medicine.